Katie Kohn is Of Counsel in Groom Law Group’s Litigation practice group. Katie specializes in ERISA litigation relating to qualified and nonqualified retirement and health plans, with significant experience in matters involving the Pension Benefit Guaranty Corporation (“PBGC”), the federal agency that insures private single employer and multiemployer defined benefit pension plans. Katie represents clients in PBGC investigations, termination litigation, and distress and standard termination applications, and advises clients in connection with PBGC subpoenas, plan mergers and spinoffs, plan de-risking transactions, options for sponsors of overfunded plans, and corporate transactions and reorganizations involving pension plans. Katie also represents clients with respect to multiemployer plan issues, and including withdrawal liability and benefits litigation. Katie also represents clients in Department of Labor investigations, defending third-party subpoenas, and benefits litigation. 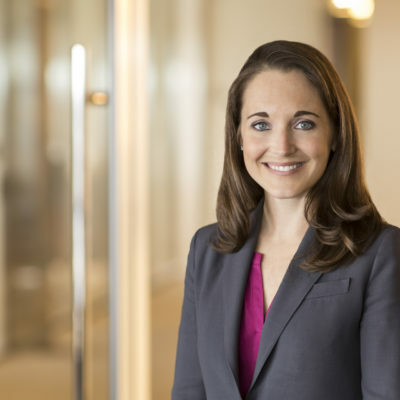 Katie has broad experience conducting written discovery, taking and defending fact and expert witness depositions, drafting and presenting motions, and participating in mediation and settlement negotiations. Prior to joining Groom, Katie was an attorney at the PBGC. In that role, she represented the agency in civil actions and bankruptcies in federal courts across the country, including plan termination litigation, as well as in investigations of large transactions or other situations involving plan sponsors. Katie also represented the agency in negotiations to resolve termination and other statutory liability of plan sponsors. Groom lawyers understand the key legal issues and confront them head on, which is efficient and effective.